Today marks the beginning of our ‪#‎ThankfulThursday‬ campaign, and I want to hear from all of you! 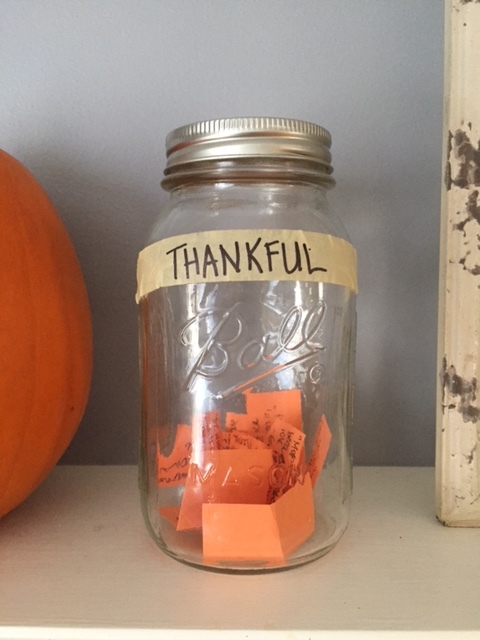 Gratitude doesn’t have to look pretty or fancy (see our jar-and-masking-tape combo) — it’s about making a choice to be happy with what we have already been given. We’re already seeing reindeer and jingle bells in the stores, and what better way to combat the Christmas gimmies than by reminding your kids how much they already have in this world? So each Thursday leading up to Thanksgiving, I want you to ask your kids what THEY are thankful for. This project is meant to spark a dialogue with our children about gratitude, and then make a daily habit out of it — rewarding on its own, but I want to sweeten the deal. Share their answers here, and for each comment here or on Facebook (facebook.com/chokingonapplesauce), you’ll be entered to win a gift card to help with your holidays. 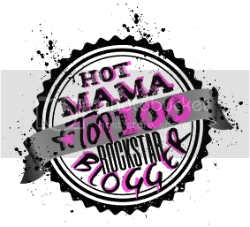 The winner will be announced on Thanksgiving Day. So let’s hear it : what are YOUR kids thankful for today?